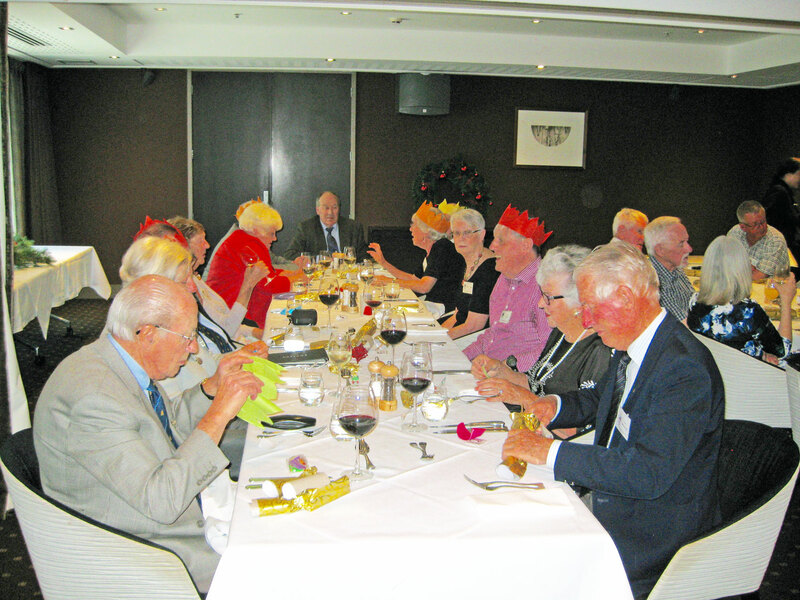 The lunch meeting held at the Bolton on Wednesday 13 March was the first for the year. 14 members, plus guest speaker Dr. Ed Ballard and visitor Bruce Campbell, a Southampton pilot and son of member Angus Campbell, all enjoyed the excellent curry lunch put on by the hotel. Before the meal, the Warden welcomed all in attendance particularly newly recruited member Jenny Cuttrice. Jenny was presented with her membership certificate to the acclaim of all present. With extensive recent command experience, Jenny is a beneficial and appreciated addition to our Branch. After lunch Ed Ballard was introduced by Roger Kerswill. Some time ago Ed had enjoyed his younger life with Roger being his scout leader in the Evans Bay sea scouts and he saw this presentation as a good opportunity to return some of his time which he felt he owed Roger. Ed reviewed his educational career history – Engineering Degree from Canterbury University and a PhD in Ship Science from Southampton University in the UK. He is a qualified naval architect. His talk revolved around the time that the consultant company for which he worked, had to prepare a conceptual proposal for the construction of a Floating Natural Gas Vessel (FLNG), hypothetically 500 metres long. With the aid of projector slides Ed took us through issues such as where natural gas is found, its properties, the temperature and process by which it is liquefied and the formidable hurdles faced in the customers design brief for a notional vessel which processed natural gas piped from the sea floor, liquefied and stored it prior to it’s transfer to tanker ships for delivery ashore. An hour passed very quickly with the audience being absorbed with the technical challenges and the proposal as to how they would be overcome. A short question time followed. The talk was brought to a lighthearted end with Angus Campbell announcing that he had been a member of the Evans Bay Britannia Sea Scouts in 1940! It was reflective as to how well the talk was received when there was general agreement that Dr. Ballard should be invited to speak again to a meeting later in the year.In concluding, the Warden advised that the April meeting would be the Branch AGM and it was hoped that there would also be time for member Captain Katherine Walker to give a short talk with it’s content yet to be advised. The agenda for the AGM will be sent out shortly. Cor Van Kesteren distributed new lapel name badges to all in attendance. These are to be kept by the individual and it is expected that they will be brought to meetings and worn. DO NOT LOSE THEM! they are your responsibility. The Governor General of New Zealand, The Rt Hon Dame Patsy Reddy GNZM QSO, is the Honorary Patron of the NZ Company of Master Mariners. On Waitangi Day (6 February 2019), the Company was represented at a reception at Government House Wellington by the Master, Captain E E Ewbank, and the Warden of the Christchurch Branch, Captain Darrell Daish. The Master, Captain Ted Ewbank, with Her Excellency the Governor General. 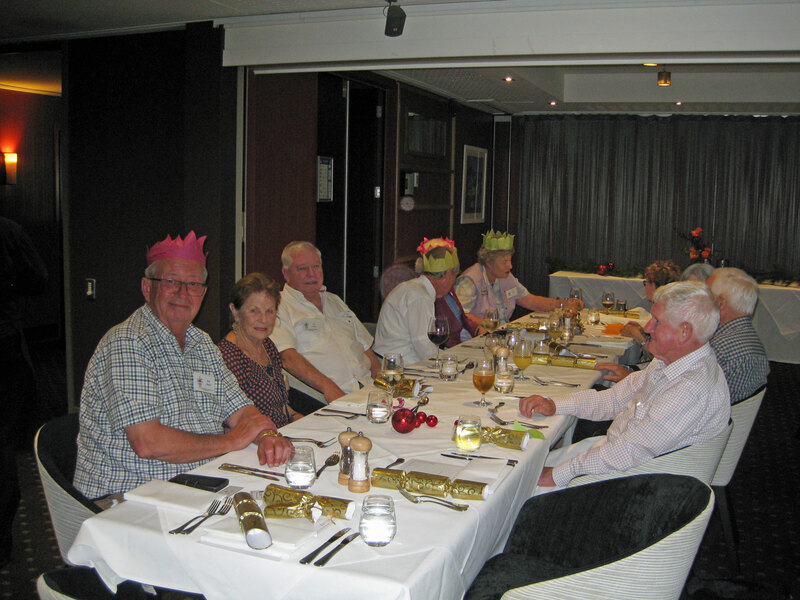 The Auckland Branch of the Company was well represented at the Maritime Societies’ Annual Dinner, held at the Northern Club on 7 December, when twelve Master Mariners and their partners/wives attended with 50 others. During the course of the evening, the Warden of the Auckland Branch, Captain Chris Barradale, presented membership certificates to master mariners Holly and David Clayton. Holly is employed by Ports of Auckland Ltd and husband David is currently serving as C/O of MV Buffalo working around the NZ coast. The guest speaker was Commander Lisa Hunn BSc RNZN, Commanding Officer of HMNZS TE MANA who spoke well of her time during the annual Exercise RIMPAC when the ship won the “Top Gun” trophy competed for by 14 nations. Warden, Capt Chris Barradale presents membership certificate to David Clayton while Holly Clayton looks on. The cement carrier WESTPORT which traded around the New Zealand coast for many years and is now now called FJORDVIK. 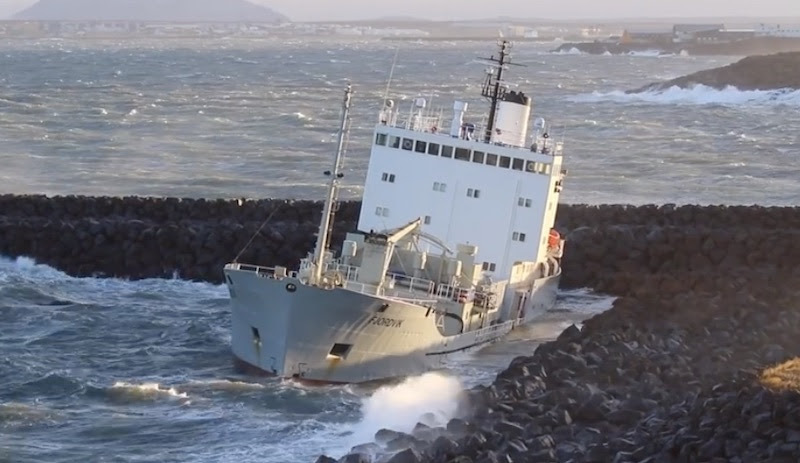 Unfortunately she missed the entrance to the harbour of Helquvik, Iceland on 2 November 2018 and has ended up on the beach. It is reported that there was a pilot a pilot on board. Maybe BRM wasn’t fully operational or the shared mental model had language problems.